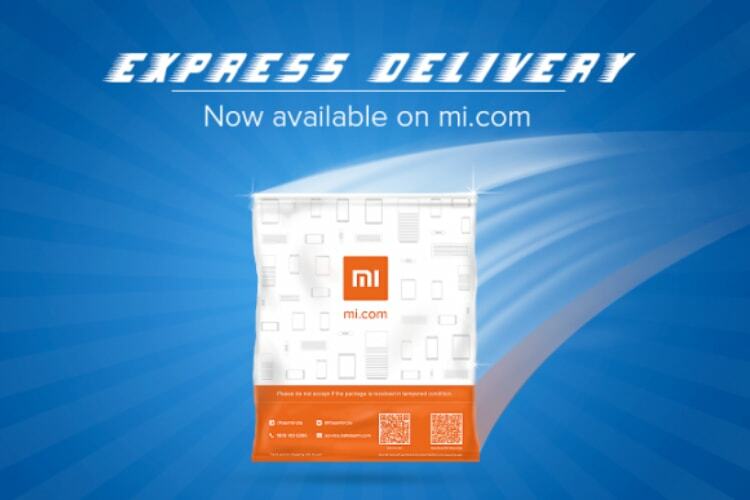 Xiaomi has just made its Express Delivery service official for its consumers in India, starting with Bengaluru. 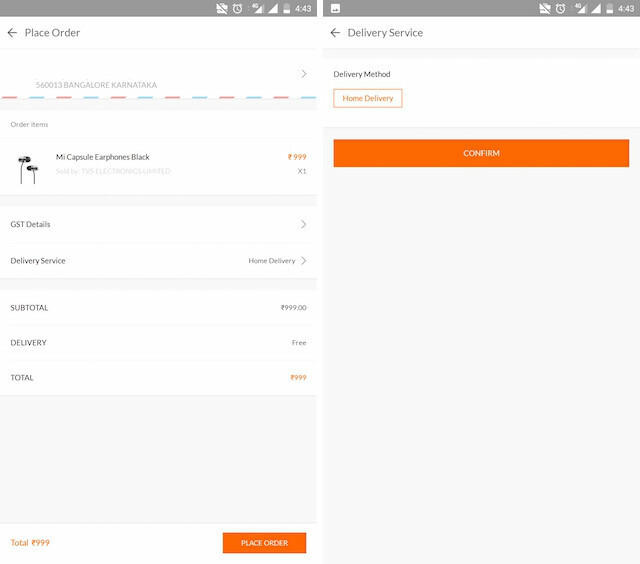 The new Express Delivery service promises to deliver Xiaomi products purchased from its online store of Mi app within one day of the order being placed. The best part is that consumers who are eligible for Express Delivery Service don’t have to pay anything extra to avail the service. As mentioned, consumers can order Xiaomi products either from its online store or it’s Mi Store App which is available on the Play Store. Visit Xiaoi’s online store by visiting the Mi.com website. Add the product you want to buy to the cart and click on the Checkout. Now you are on the order information page where if you order is eligible for you will see the option to select “Express Delivery”. Go to Mi Store app, add the product to the cart and checkout. 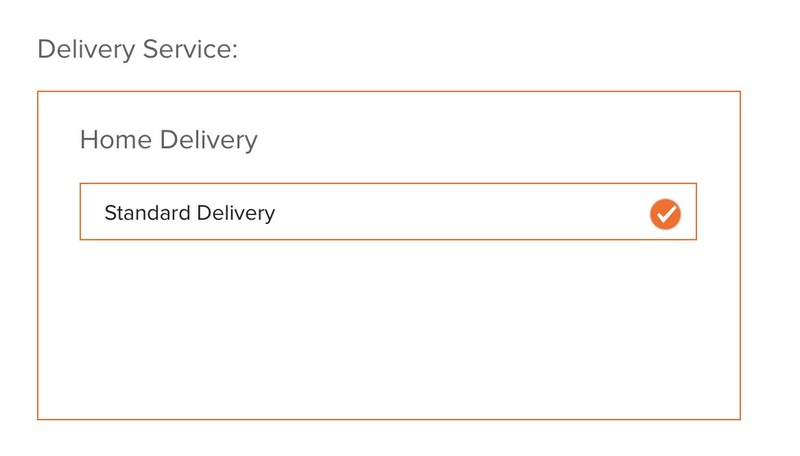 On place order page, click “Delivery Service”, if eligible, you will see the option to select “Express Delivery”. Select ‘Express Delivery Service’ and confirm to place the order. As you can see in the pictures attached above, the service is currently not available for us. I tried this with a bunch of different products (some were eligible and some were not) and changed the pincode to Bengaluru, but it was not giving us an option to select the Express Delivery option. Maybe Xiaomi is launching this service on a staged-rollout basis so if you are also not seeing the Express Delivery option don’t worry, it should become universally available – at least in Bengaluru – in the coming few days. The service is only available in Bengaluru. The order timings must be between 9:00 AM – 4:30 PM. The Cash On Delivery option will not be applicable if opted for express delivery. This service will not be available on Sundays. Lastly, there is the list of products which are eligible for availing this service. You can check out the whole list by clicking here. I think it’s a good initiative from Xiaomi’s part to include one-day delivery for its products, I just hope that the company expand the list of eligible products and the regions for this service.